The iPhone 4 White, Coming this Spring? Until spring 2011 comes, people will never know what Apple has in store for them. Is it a white iPhone 4 or an iPhone 5? 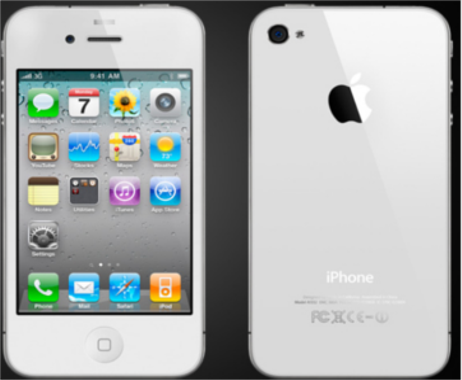 Last Wednesday, Bloomberg reported that Apple’s white iPhone 4 is almost geared up for launch on both AT&T and Verizon. This update goes along with AppleInsider’s report that the device would launch in April. In addition to this, Reuters also reported earlier that Apple’s suppliers have begun production of the white iPhone 4. And if you’re still unconvinced, Apple’s Vice President – Phil Schiller – posted a tweet on his official Twitter account last month that the white iPhone 4 will be available this spring. Last month, Concord Securities’ Ming-Chi Kuo reported that the white iPhone 4 got full lamination problems. As a result, the device underwent necessary overhaul causing a ten-month delay. The Cupertino-based company repeatedly delayed the device last year due to manufacturing issues. It was in October 2010 that the company announced that the white iPhone 4 will not be available until Spring 2011. The long overdue of the white iPhone 4’s release hyped up speculations that Apple will not release a redesigned iPhone this summer. Instead, the company will unveil the so-called iPhone 5. The February release of iPhone 4 in Verizon also fueled these rumors up. Hence the question was raised: Would an iPhone 5 update will anger customers who recently signed a two-year contract for their iPhone 4 Verizon? There were also insiders connected to Taiwan-based touch panel manufacturers, saying that Apple has yet to provide them with a production road map for iPhone 5. However, there’s a split interpretation about this. Some believe that a slightly modified iPhone 4 will hit the store this summer, while others anticipates a “major overhaul” coming at a later date. What do you think Apple has in store for their customers? Share your insights by leaving a comment. Finally, the White iPhone 4 is Out!